vandyfan1 had the most liked content! Thanks Trader I sure hope we get a good one our kids and community deserve it! 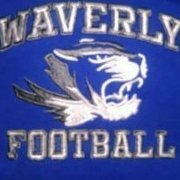 Waverly football is back were it should be and hopefully the new coach can pull more kids to add to the group we already got! Yea we kinda knew that pioneer but I didn’t to get on that subject at that time. What is this mess!!! Rye and Graves better be on their A game with this hire!! Waverly has a ton of talent and we need a good coach to go with it! I sure hope it’s not anybody in the building already! Nobody picked us to go far in 2016. I was really the only Waverly poster on here screaming how good we was and nobody wanted to hear it. Waverly will have an outstanding line next yr that alone will get you pretty far. Then you mix some skill players to go with #8 and teams better watch out!!! Waverly has the talent. Im not trying to sound like a homer but Waverly should make a run. Im not sure how far but they will have a great line. I have been saying Peabody should repeat. Fairley , Adamsville, Union city should be pretty good. I think Scotts Hill might be a big turn around also. But if I was a bettin man I would pick the Tide. Ok so somebody help me out. Since my Lions are leaving who all is in R7? Is another team sliding in their slot or what? Is the Ville moving to AAA? There are some Huntingdon posters that aint worth a crap and give the rest of them a bad rep.
Whats this dude smoking Pride? There is no way Huntingdon would beat Peabody! Congrats to Whitwell it sounded like a great game on the radio. The game could have went either way. Trollin I can understand what your saying. Its ok for some of the other guys not to agree. I respect Trader and BigEd more than I do anybody on here. 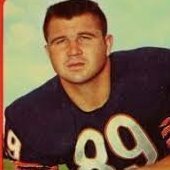 I would like to see another Coach Hampton or get a coach like Coach Sharp. Times have changed and I think coaches like that are thin to none these days. 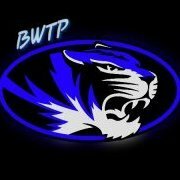 I want a coach to bleed blue and white. Will I be bitter if McConnell leaves yea kinda but I cant ever blame a man to better himself and his family. If Waverly goes back to the one and done I will still be cheering them on and I know you will to bud. 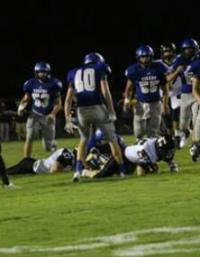 When I found out that all they do is run the ball I knew they wasnt going to beat yall. That Tide Defense aint no joke! You guys won bud thats all that matters. Great job!! @Trollin @Tiger77dad You guys are right! !